It was one of those lazy afternoons when after sitting on the couch with the boyfriend (and 2 lap dogs) all morning, hunger struck and going to eat sushi at Sushi Deli (one of our favorite places) seemed like a genius idea! My boyfriend always asks "how long is it going to take you to get ready? Is it going to be a whole production?" - meaning make up, straightening my hair, heels, etc etc- amounting to about an hour and a half. This time I replied "give me 30!". This my dear readers is me ready in 30 minutes! I grabbed a few comfortable pieces like these wide leg jeans ( they are my new best friend), this flowy top to stay cool in the heat and wedges. About the Outfit: Forever 21 Top, Forever 21 wide leg trousers (similar), Dogeared Jewelry Necklace c/o, Aldo Wedges (similar), Gucci Bag, Forever 21 sunnies. And now for the food!!! 30 minutes and you look AMAZING! And lol, my boyfriend is totally the same way! Easy Breezy Cool Casual Look:)! 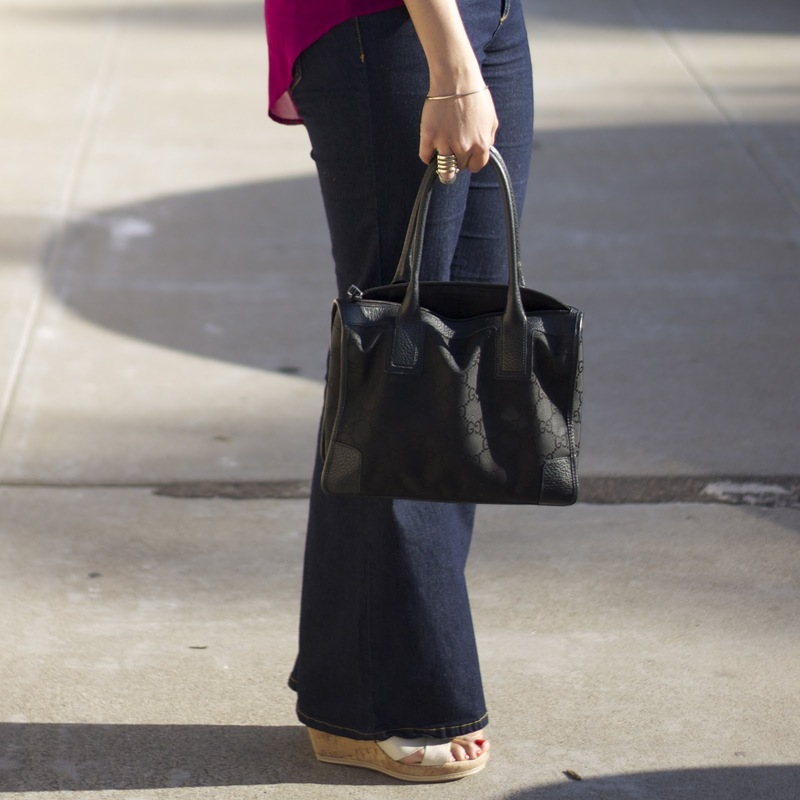 Love the flared jeans with the wedges! You look beautiful girl! Hey girl! First of all, I love ur look & esp that gold ring! 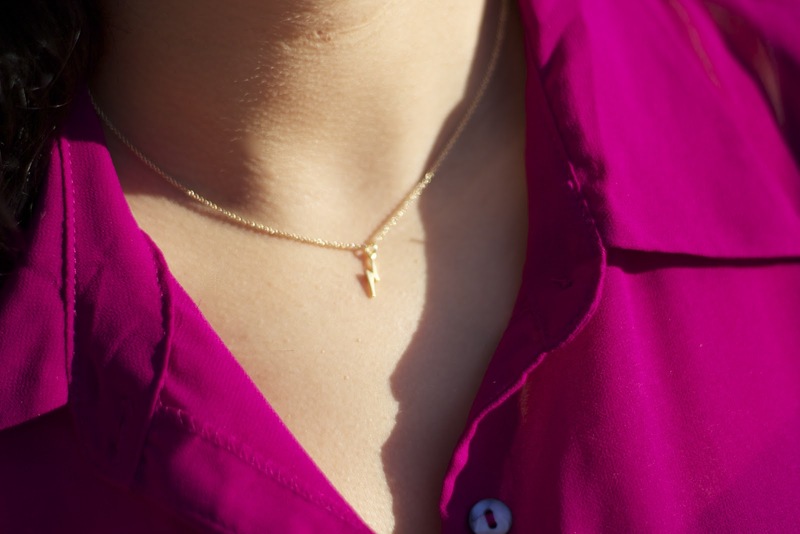 I've also been into really dainty necklaces, too. I have a silver sideways cross necklace that I've been wearing everywhere. 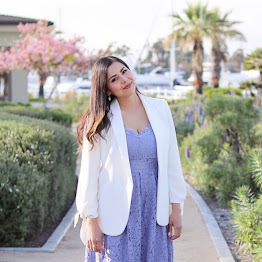 I just discovered that there is a San Diego style blog community established now & wanted to see if I could join it? It's so awesome how you guys have met up and done a few events with SDFW!